. إن الخدمات التي يقدمها Best Western Lazy Lizard Motor Inn تضمن للنزلاء إقامة مريحة. يقدم الفندق فرصة للاستمتاع بشريحة واسعة من الخدمات بما فيها: واي فاي مجاني في جميع الغرف, مرافق مخصصة لذوي الاحتياجات الخاصة, واي فاي في المناطق العامة, صف السيارات, التوصيل من وإلى المطار . استمتع بوسائل الراحة الراقية في الغرف أثناء إقامتك هنا. بعض الغرف تتضمن تلفزيون بشاشة مسطحة, اتصال لاسلكي بالإنترنت, اتصال لاسلكي بشبكة الإنترنت (مجاني), غرف لغير المدخنين, مكيف هواء لمساعدتك على استعادة طاقتك بعد يوم طويل. كما أن مجموعة الخدمات الواسعة الموجودة في الفندق لضمان راحتك تترك لك الكثير من الخيارات لقضاء وقتك أثناء فترة إقامتك. مهما كانت دواعي سفرك فإن Best Western Lazy Lizard Motor Inn هو خيار ممتاز لإقامتك في بورت دوجلاس. Very helpful,friendly staff. 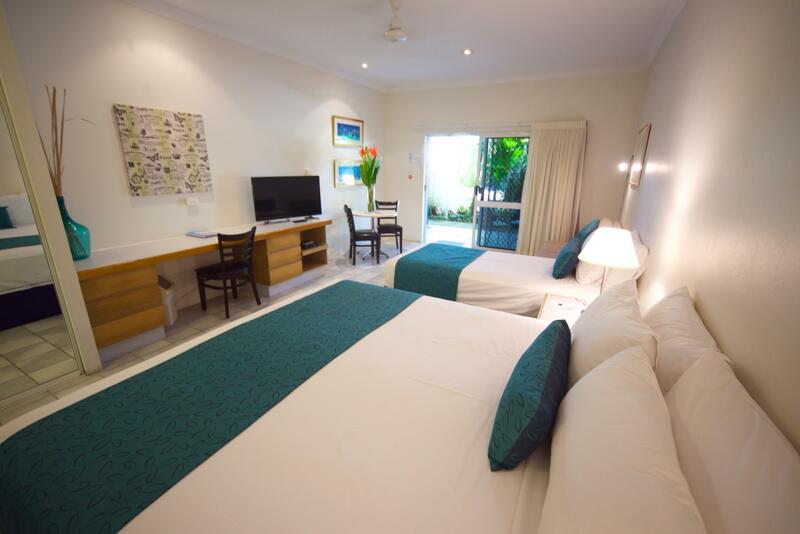 Clean, well appointed ,comfortable beds, convenient location. Highly recommend. A really great team made us very comfortable and gave great advice on the area and wildlife including the birds frequenting the hotel grounds, e.g. two frogmouth. It was easy to get into town and easy to get out to the highway to visit the surrounding attractions. Kitchenette would have benefited from a hot plate to boil or fry on. I was so impressed with the quality of service provided. Such a spacious and clean studio room, never seen before, Fridge, TV, car park, spa, swimming pool and so on... Perfect! 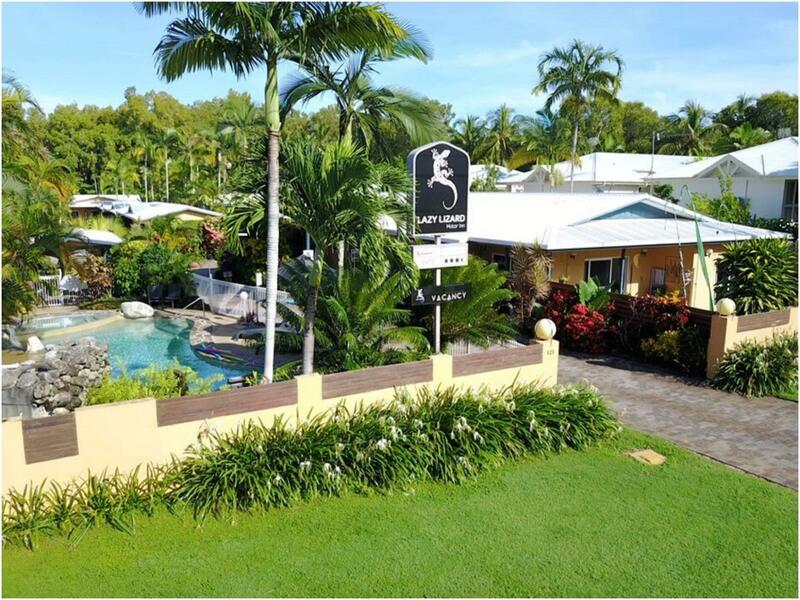 If I go to Port Douglas again, I would definitely use this motel again. Very helpful, good location and very clean room with amenities. 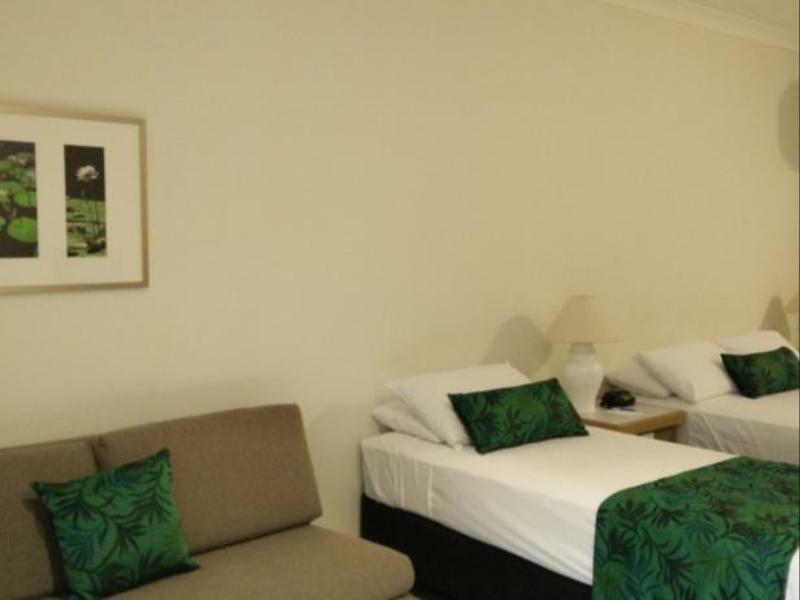 The rooms were very comfortable, sizeable and clean. The owners were very friendly, free beach towels every day and free bicycle hire. Breakfast is also brought in day before which is convenient. It has all the facilities you would want incl. Hairdryer and iron. Only downside was it is a 20 minute walk to town, and would suggest shower gel is provided in rooms rather than just soap. We enjoyed our stay here. 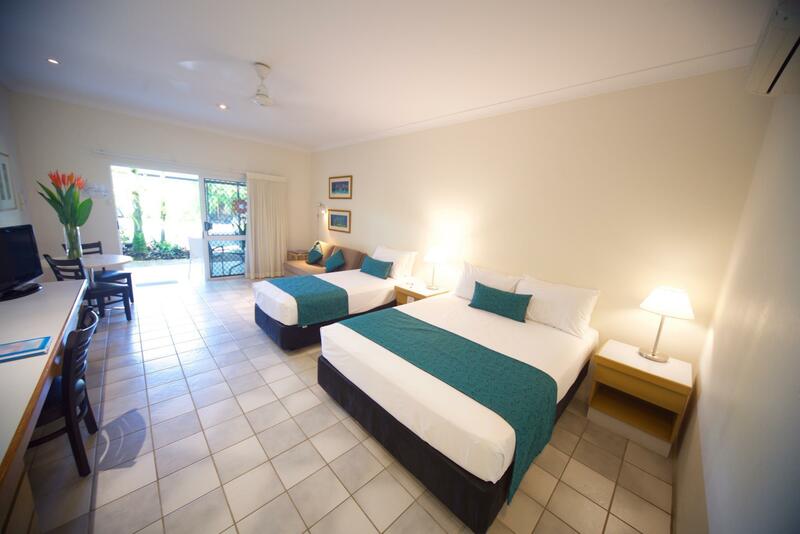 Rooms are comfortable and quiet with outside seating area. Location is a little out of town so quite a walk. Good BBQ area and friendly staff. We did think that out towels could have been changed once in 5 days however. Be aware that booking the midweek special means no cleaning! We enjoyed our stay here. Rooms are comfortable and quiet. Location is a little out of town so quite a walk. Good BBQ area and friendly staff. everything!!! jim&penny! value for money! The pool, freindly staff and cleanliness. 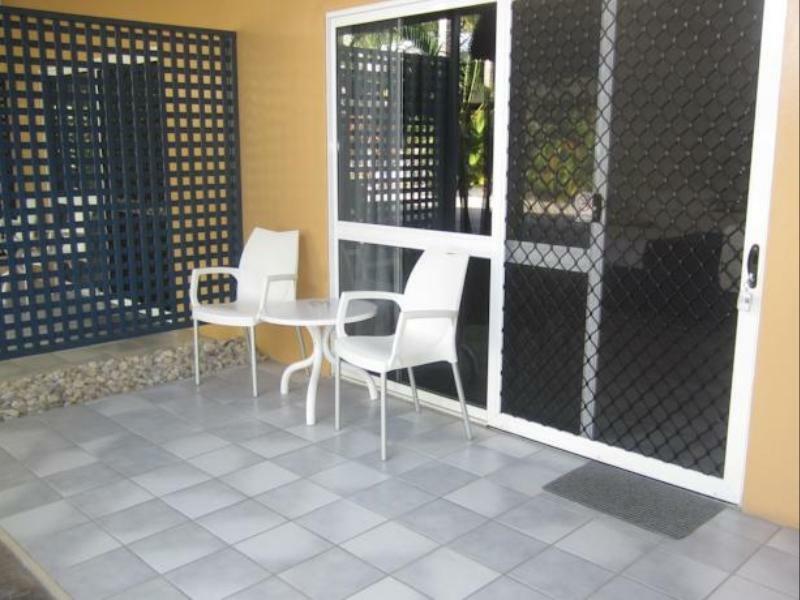 Cleanliness, quiet location and very helpful and friendly owners. We stayed for 3 nights in a very large,clean and comfortable room with en-suite and small kitchenette. Location was quiet within 15 to 20 minutes walk to town centre. We had a wonderful time there with the help of the ever helpful and friendly owner, Jim and Penny. Very good value for money and would highly recommend this hotel. As above; Quiet premises, nice garden outlook, small pool good for small children; close to local amenities.